Published September 26, 2016 By Anna T. This post may contain affiliate links. Regardless, I only recommend sites I've researched and/or used and trust. Because you don't. Things are constantly changing in the blogging world. The “right” way to do things this year might not be the “right” way to do things next year. Social media platforms come and go, Google changes their algorithms constantly, and there is just always something that will have an impact on your traffic and the way you monetize. While you can certainly do your share of Googling and find thousands of articles about pretty much any aspect of blogging, I've always enjoyed blogging e-books and e-courses because it's more like you're being guided rather than trying to piece information together from blog posts based on the opinions of fifteen different people. Just getting started with your blog, or haven't even set one up yet? This e-book could help! It was written by Suzi Whitford of Start a Mom Blog. She sent me a copy of it a few months ago to read and review here. Let me tell you, this book seriously impressed me! Suzi walks you through the process of starting a blog, beginning with picking out a domain name and buying a hosting account, and then covers everything else in detail from making money to getting traffic. I love the clear, easy-to-understand way she explains things. It's basically a step-by-step guide to blogging that covers just about everything in 140 pages. While the book is titled to appeal to women/mom bloggers, you do not need to be a mom or a woman to benefit from the information here. 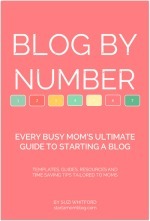 Suzi has also recently created an e-course that goes into more detail on blogging. 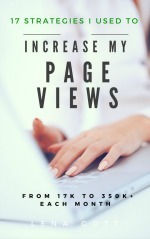 If you've already started your blog and increasing traffic is your primary concern, you'll love this e-book. It was written by Lena Gott of What Mommy Does. There is a ton of straightforward advice and very specific action steps to take throughout the book to get you on track to increase traffic. Lena was also very candid in the book about what did and did not work for her. I love that she encourages you to continually test different strategies to see what works, as this is something I am constantly doing myself. Overall, this e-book is ideal if you are feeling “stuck” with your traffic and can't seem to figure out what you're doing wrong in your efforts to grow it. Having problems getting Facebook followers? Then this is the book for you. It was written by Brittany Ann of Equipping Godly Women. 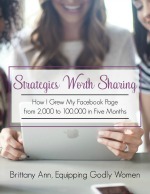 As per the title of the e-book, Brittany grew her Facebook followers by an impressive amount in a very short period of time, and didn't pay a dime on advertising. Impressive! I put to work some of the strategies suggested in the e-book to grow my Real Ways to Earn Facebook page and saw immediate results. I've definitely done other things on my own to grow it not suggested in the e-book (for example, the MiloTree app which is a fairly new thing, and experimenting with boosting posts), but the info in this book helped a ton and gave me some new ideas. I highly recommend it if you're struggling to get Facebook followers! This is the blogging e-book I read a few years ago that helped me personally take things to that “next level.” It was written by Ruth Soukup of Living Well, Spending Less. 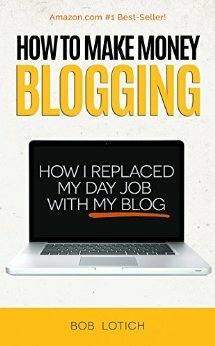 Reading this e-book also led to me enrolling in Elite Blog Academy, a blogging e-course that is a complete game-changer. I can credit the course for helping me learn what to focus my attention on and practically doubling my blogging income in just one year after taking it. The e-course is only open a couple of time a year, but you can buy the e-book anytime. While the e-book obviously doesn't go into as much detail as the course does, it's still a fantastic read and will help you with everything from restructuring your site to make it more user-friendly to learning exactly how start getting tons of traffic from Pinterest. 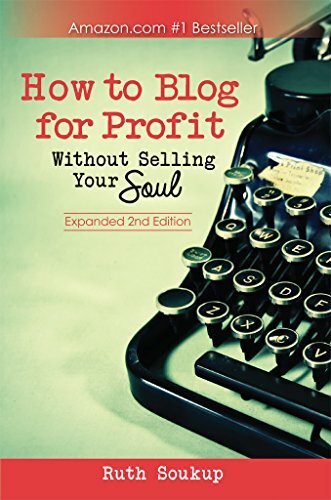 Note that this book does not walk you through the process of actually setting up a blog, so I wouldn't recommend it unless you already have a blog that's up and running. This e-book was written by Bob Lotich of SeedTime. I downloaded it for free on Amazon and was highly impressed with how helpful and straight to the point it was. 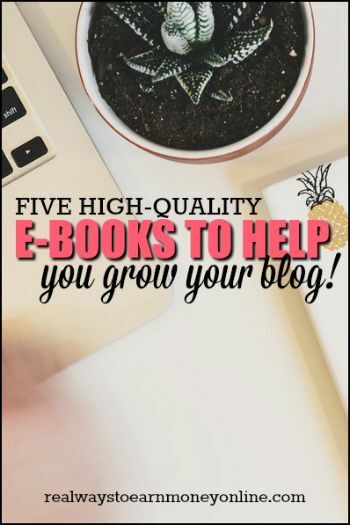 While the book covers a little bit of everything, including how to get your blog set up if you're just starting, there were a few parts that were of particular interest to me. For example, Bob talks a lot about earning with Google Adsense and where to place your ads on your blog to get the most benefit from them. He also shared exactly what he did to increase his Adsense income by over $1,000 after making a few small changes. So that sums up my five favorites! If you've read any other great blogging e-books, feel free to comment below and let us know what you read and benefited from. P.S. – Do You Want Your Own Blog? Invest in a blogging course. Trust me that this is all SO much easier if you have someone to walk you through the process step by step. I recommend the resources available from Start a Mom Blog if you're on a budget. If you can afford to splurge and already have a blog set up but not much else, many people go with Elite Blog Academy for training. Regardless of what you can afford to spend, I believe both of these resources are equally good, and I have been through each of them. I have the book by Ruth Soukup. I am going through that and enjoying it. I will pass this list along! I know that there is a lot out there, but I’d prefer getting recommendations from someone as knowledgeable as you, Anna. Thank you so much for sharing these great resources. I would love to learn how to make my blog more successful.